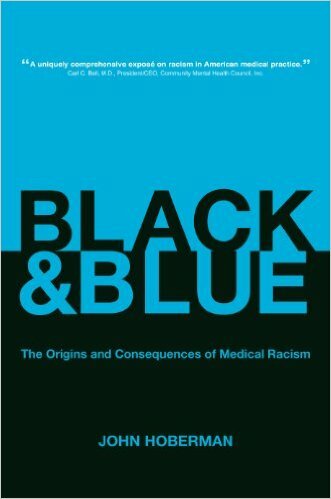 Black & Blue is the first systematic description of how American doctors think about racial differences and how this kind of thinking affects the treatment of their black patients. The standard studies of medical racism examine past medical abuses of black people and do not address the racially motivated thinking and behaviors of physicians practicing medicine today. Black & Blue penetrates the physician’s private sphere where racial fantasies and misinformation distort diagnoses and treatments. Doctors have always absorbed the racial stereotypes and folkloric beliefs about racial differences that permeate the general population. Within the world of medicine, this racial folklore has infiltrated all of the medical sub-disciplines, from cardiology to gynecology to psychiatry. Doctors have thus imposed white or black racial identities upon every organ system of the human body, along with racial interpretations of black children, the black elderly, the black athlete, black musicality, black pain thresholds, and other aspects of black minds and bodies. The American medical establishment does not readily absorb either historical or current information about medical racism. For this reason, racial enlightenment will not reach medical schools until the current race-aversive curricula include new historical and sociological perspectives.